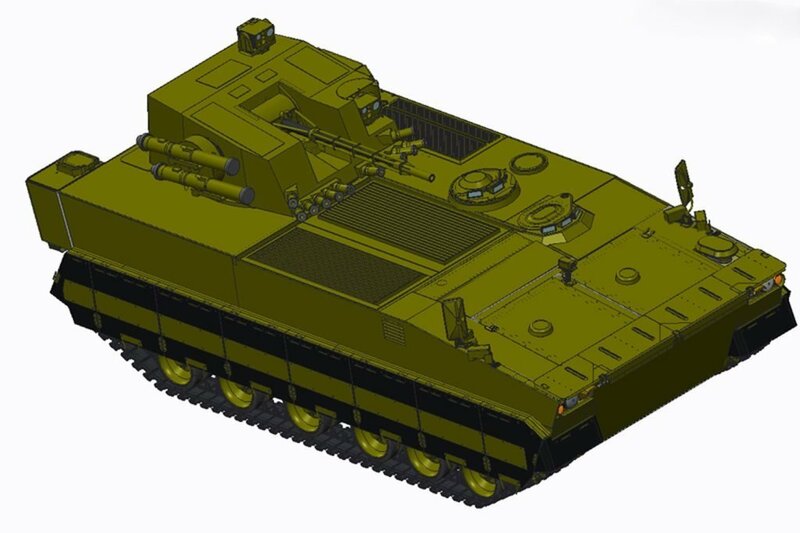 On 25th May the state owned company Kharkiv Morozov Machine-Building Design Bureau (KMDB), based in Kharkiv, Ukraine, unveiled that they are developing a new BMP-U IFV (Infantry Fighting Vehicle), reported Shephard Media. The new IFV is being designed for transportation and fire support of the Ukrainian Army. It will be tested in 2019 and is expected to enter into service in 2020. The plans are the BMP-U to replace the BMP-1 and BMP-2 IFVs. The vehicle is intented for three crew members and seven paratroopers. Its level of protection will be 10-12% higher than the BTR-4 and a greater level of the crew protection is achieved through a design solution which puts the vehicle’s engine transmission compartment in the front. The equipment of the BMP-U IFV will include a 735hp diesel engine and automatic transmission for high manoeuvrability and speed on the battlefield. Its weight is expected to be between 25t and 27t. A BM-8 combat module with improved characteristics, a 30mm automatic gun, an automatic grenade launcher, a machine gun, and a Barrier guided anti-tank missile will arm the new vehicle. The BMP-U IFV is not the only new solution offered by KMDB. A next-generation tank with a 1500hp engine capable of working on different types of fuels is being developed as well.